"Now for a man to consecrate his property, wife and children, to the Lord, is nothing more nor less than to feed the hungry, clothe the naked, visit the widow and fatherless, the sick and afflicted, and do all he can to administer to their relief in their afflictions, and for him and his house to serve the Lord. In order to do this, he and all his house must be virtuous, and must shun the very appearance of evil." 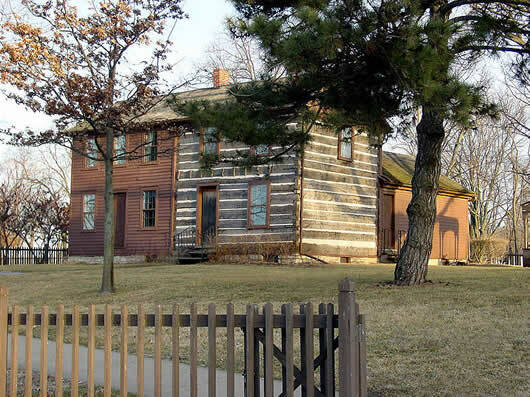 These pictures show some of the houses that Joseph Smith Jr. had lived in during his calling as a Prophet and LDS Church President. Some of the houses are restorations others are replications of the original dwellings. Along with his duties as LDS Church President, Joseph Smith worked in various vocations, including hired hand, farmer, shop keeper, hotelier and in city leadership, among others. 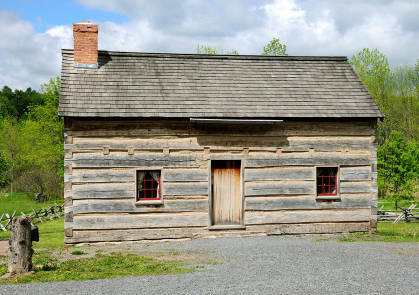 This is a replica of the Joseph Smith Sr. family home, where Joseph Smith Jr. was living when he had the First Vision, where The Angel, Moroni, appeared to him, where the gold plates were hidden at times, and where the translation of the Book of Mormon commenced. 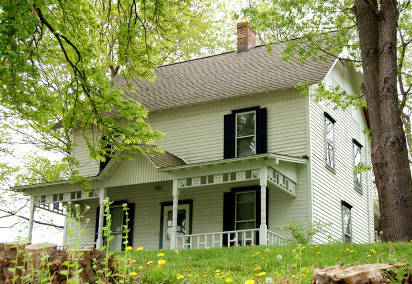 Joseph Smith and his wife, Emma, lived in the middle section of this dwelling. 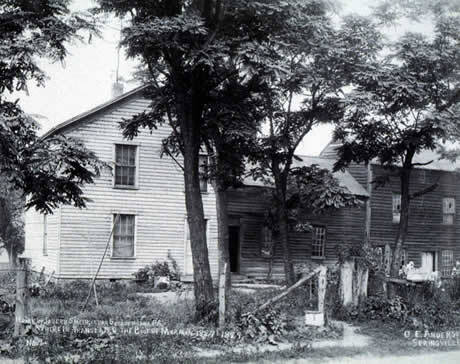 Joseph and Emma Smith's farm home in Nauvoo, Illinois. Additions have since been made to the original structure. 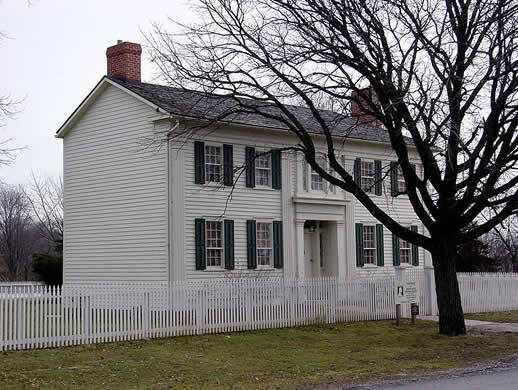 Joseph and Emma Smith built this house in Nauvoo, Illinois, which included an attached hotel/boarding house to accommodate boarders, travelers, visitors, dignitaries and new arrivals to Nauvoo. 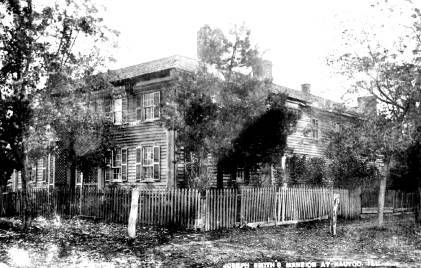 Joseph lived in this house less than a year before he was martyred at Carthage Jail in June 1844. The Mansion House as it appears today with the hotel portion removed. Joseph Smith's presidency is noted for: The First Vision when Heavenly Father and Jesus Christ appeared to him while praying in a grove. Translating the Gold Plates entrusted to him by the Angel Moroni into the Book of Mormon by the power of God. Restoring the Aaronic and Melchizedek Priesthood under the hand of Heavenly Messengers. Organizing a church. Ushering in the dispensation of the fullness of times. Receiving and publishing modern day revelations from Jesus Christ. Revealing priesthood keys to eternal life, celestial marriage and the sealing of families. Restoring lost doctrines including those concerning the salvation of the dead. Building modern day temples in Kirtland and Nauvoo. Established communities and cities in Ohio, Missouri and Illinois. Overseeing the establishment of the Relief Society, the world's largest women's organization. Dying for his testimony.